Khemka had first come into the spotlight in 2012 after he cancelled the mutation of the Rs 58 crore land deal between Robert Vadra and realty giant DLF. CHENNAI: It was deja vu for 55-year-old IAS officer Ashok Khemka when he was transferred for what is believed to be the 51st time in his three-decade-long career. Khemka’s recent transfer on Sunday, reports claimed, came after he landed in soup for asking a Haryana government minister to return an officer’s car. 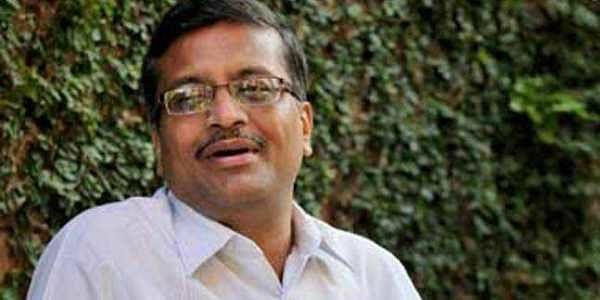 Khemka had first come into the spotlight in 2012 after he cancelled the mutation of the Rs 58 crore land deal between Robert Vadra, son-in-law of Congress president Sonia Gandhi and realty giant DLF. The Congress-ruled government in Haryana had then filed a chargesheet against Khemka for “wrongly” cancelling the deal, but the BJP government dropped the chargesheet when it came to power in the state in 2014. In fact, Khemka is not the lone ‘honest’ bureaucrat who had to face pressure from political circles and ‘other vested interests’. In the recent past, there have been many IAS and IPS officers who were transferred several times due to similar reasons and in some extreme cases, some of the bureaucrats were also alleged to have been killed by those on the wrong side of the law. A look at a few of them. Rahul Sharma, an IPS-officer-turned lawyer, was posted as the SP in Bhavnagar district of Gujarat when the Godhra riots broke out. He is regarded as one of the few who responded promptly and controlled the violence. Sharma’s actions reportedly miffed then Gujarat chief minister Narendra Modi and following his deposition before the Nanavati Commission, Sharma was shunted out to a low-profile post at the Ahmedabad police control room. In June this year, a video of a woman cop standing up to a group of BJP workers went viral. In the video, Shrestha Thakur, who was then the DSP of UP police, is seen chiding district-level BJP worker Pramod Lodhi and others for not carrying proper vehicle documentation in western UP’s Bulandshahr. The man allegedly misbehaved with police officers following which he was arrested, the police had said. After the video went viral, Thakur was lauded for her bravado and sense of duty. However, things took an unexpected turn when Thakur along with some other deputy superintendents was transferred to the Bahraich district bordering Nepal. Though the police department claimed that it was a routine transfer, past events hinted at something different. In April this year, SSP Love Kumar and Agra SSP Pritinder Singh were transferred after they took stringent action against BJP leaders and workers of RSS affiliates such as Bajrang Dal and Vishwa Hindu Parishad. In 2013, Durga Shakti Nagpal (28) took on the illegal sand mining mafia in Noida head on. Between February and July that year, she registered 66 FIRs, arrested 104 people and seized 81 vehicles engaged in illegal mining. However, her actions ruffled the feathers of the Samajwadi Party government which was in power then and it ordered her suspension. Justifying its actions, the SP government had said Nagpal disrupted communal harmony by destroying the wall of a mosque in Noida. The suspension row took a U-turn when a video of SP leader Narender Bhati surfaced where he was seen explaining how after he found out about the plans to tear down the mosque wall, he called party chief Akhilesh Yadav and got her suspended within 41 minutes. After the video became public, her suspension was revoked by the SP government and she joined as joint magistrate of Kanpur rural. In 2015, Nagpal was appointed as an officer on special duty (OSD) to Union agriculture minister Radha Mohan Singh. Manoje Nath, a retired IPS officer of the 1973 batch, was transferred at least 40 times in his 39-year-old career. He was also never considered for the top post and was thrice superseded by officers much junior to him. Nath was sidelined ever since he locked horns with the former chairman of Bihar State Electricity Board Swapan Mukherjee and pursued a graft case against him. Not only was the charge quashed but Nath was also served with a show-cause notice asking him to explain why he had held a press meet on the issue. The government also brought an insubordination case against him which was later dismissed by the court. Since then, he was never given a key post in the administration and when he was, Nath was transferred within months. In fact, during Nitish Kumar’s first tenure as Bihar CM, Nath was transferred four times in a year.